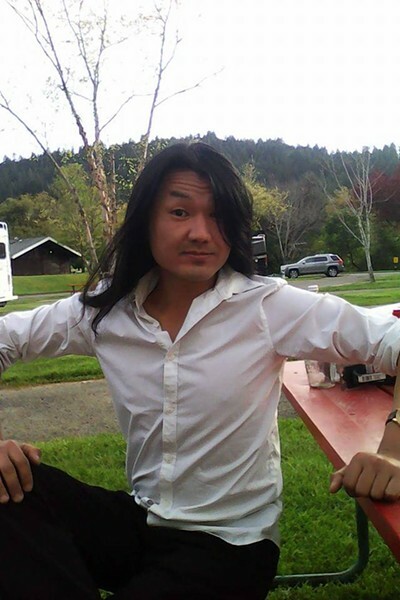 The Humboldt County Sheriff’s Office has identified a man whose body was found in South Fork of the Eel River near Redway on Oct. 6 as Dordzhi Sandzhiev, a Russian citizen who frequented Southern Humboldt and was known to deputies, according to a press release. Sandzhiev, whose cause of death was determined to be drowning, was identified using fingerprints. Local authorities have been in contact with the Russian Consulate, which confirmed the 33-year-old was born in Elista, Russia. When the consulate’s attempts to contact Sandzhiev’s family proved unsuccessful, local residents used social media to make the connection, according to the sheriff’s office. On Ocotber 6th, 2017 Humboldt County Sheriff’s Deputies responded to the area of the Dean Creek Resort near Redway to a report of a deceased subject partially submerged in the South Fork of the Eel River. Members of the Coroner’s Office also responded and the subject was retrieved from a shallow area of the river. The Coroner’s Office was able to obtain finger prints from the deceased subject and identify the subject as 33 year old Dordzhi Sandzhiev. Sandzhiev frequented Southern Humboldt and was known to deputies. Sandzhiev claimed that he was from Russia. At the time of the incident Sandzhiev’s name was not released to the media as the Coroner’s Office was unable to make notification to the next of kin. The Coroner’s Office worked with the Russian Consulate and was eventually able to confirm that Dordzhi Sandzhiev was born in Elista Russia, and was a Russian Citizen. The Russian Consulate had been attempting to contact Sandzhiev’s family without success. Notification was not made until local citizens assisted by using the means of social media. The Sheriff’s – Coroner Office would like to thank those citizens who helped with the notification of Sandzhiev’s family members. An autopsy was performed and the cause of death was determined to be from drowning. There are no known witnesses to the drowning and the Sheriff’s Office is encouraging anyone with information to please contact the Sheriff’s Office at 707-445-7251 or the Crime Tip Line at 707-268-2539.